A trader's chart is the foremost technical tool for making trading decisions with the triple screen trading system. For example, traders commonly use weekly moving average convergence divergence (MACD) histograms to ascertain their longer-term trend of interest. Deciding which stocks to trade on a daily basis, the trader looks for a single uptick or a downtick occurring on the weekly chart to identify a long-term change of trend. When an uptick occurs and the indicator turns up from below its center line, the best market tide buy signals are given. When the indicator turns down from above its center line, the best sell signals are issued. By using the ocean metaphors that Robert Rhea developed, we would label the daily market activity as a wave that goes against the longer-term weekly tide. When the weekly trend is up (uptick on the weekly chart), daily declines present buying opportunities. When the weekly trend is down (downtick on the weekly chart), daily rallies indicate shorting opportunities. Second Screen - Market WaveDaily deviations from the longer-term weekly trend are indicated, not by trend-following indicators (such as the MACD histogram), but by oscillators. By their nature, oscillators issue buy signals when the markets are in decline and sell signals when the markets are rising. 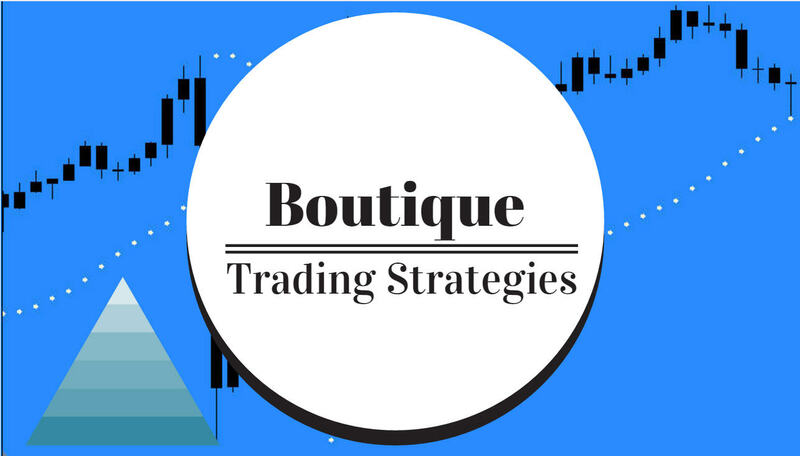 The beauty of the triple screen trading system is that it allows traders to concentrate only on those daily signals that point in the direction of the weekly trend. For example, when the weekly trend is up, the triple screen trading system considers only buy signals from daily oscillators and eliminates sell signals from the oscillators. When the weekly trend is down, triple screen ignores any buy signals from oscillators and displays only shorting signals. Four possible oscillators that can easily be incorporated into this system are force index, Elder-Ray index, stochastic and Williams %R. Force Index A two-day exponential moving average (EMA) of force index can be used in conjunction with the weekly MACD histogram. Indeed, the sensitivity of the two-day EMA of force index makes it most appropriate to combine with other indicators such as the MACD histogram. Specifically, when the two-day EMA of force index swings above its center line, it shows that bulls are stronger than bears. When the two-day EMA of force index falls below its center line, this indicator shows that the bears are stronger. More specifically, traders should buy when a two-day EMA of force index turns negative during an uptrend. When the weekly MACD histogram indicates an upward trend, the best time to buy is during a momentary pullback, indicated by a negative turn of the two-day EMA of force index. When a two-day EMA of force index turns negative during a weekly uptrend (as indicated on the weekly MACD histogram), you should place a buy order above the high price of that particular day. If the uptrend is confirmed and prices rally, you will receive a stop order on the long side. If prices decline instead, your order will not be executed; however, you can then lower your buy order so it is within one tick of the high of the latest bar. Once the short-term trend reverses and your buy stop is triggered, you can further protect yourself with another stop below the low of the trade day or of the previous day, whichever low is lower. In a strong uptrend, your protective provision will not be triggered, but your trade will be exited early if the trend proves to be weak. The same principles apply in reverse during a weekly downtrend. Traders should sell short when a two-day EMA of force index turns positive during the weekly downtrend. You may then place your order to sell short below the low of the latest price bar. Similar in nature to the long position described above, the short position allows you to employ protective stops to guard your profits and avoid unnecessary losses. If the two-day EMA of force index continues to rally subsequent to the placement of your sell order, you can raise your sell order daily so it is within a single tick of the latest bar's low. When your short position is finally established by falling prices, you can then place a protective stop just above the high of the latest price bar or the previous bar if higher. If your long or short positions have yet to be closed out, you can use a two-day EMA of force index to add to your positions. In a weekly uptrend, continue adding to longs whenever the force index turns negative; continually add to shorts in downtrends whenever the force index turns positive. Further, the two-day EMA of force index will indicate the best time at which to close out a position. When trading on the basis of a longer-term weekly trend (as indicated by the weekly MACD histogram), the trader should exit a position only when the weekly trend changes or if there is a divergence between the two-day EMA of force index and the trend. When the divergence between two-day EMA of force index and price is bullish, a strong buy signal is issued. On this basis, a bullish divergence occurs when prices hit a new low but the force index makes a shallower bottom. Sell signals are given by bearish divergences between two-day EMA of force index and price. A bearish divergence is realized when prices rally to a new high while the force index hits a lower secondary top. The market wave is the second screen in the triple screen trading system, and the second screen is nicely illustrated by force index; however, others such as Elder-Ray, Stochastic, and Williams %R can also be employed as oscillators for the market wave screen.